In 2015, Grammarly polled our social audiences to see if they supported gender-neutral pronoun usage. The results were a bit surprising: more than half of the audience polled felt that the idea of gender-neutral pronouns was a nonstarter. With this knowledge, I’d like to appeal to our audience: consider the singular they. Language has changed a lot: the singular they was voted the most important word of the year in 2016, and numerous dictionaries have added gender-neutral usage notes. Merriam-Webster even introduced the gender-neutral honorific Mx. to their unabridged dictionary this year, forever ending the question of what to call someone whose gender is nonbinary (i.e., not male or female). Of course, these three terms are just the beginning of a discussion about gender, but for the purposes of talking about gender-neutral or third-gender pronouns, they’re a great start. If you have more questions about gender or sexuality, consult GLSEN’s resources on the subject. One of the great lies about the English language is that it remains static. Grammar pedants and trolls generally operate under a series of assumptions about language, which may or may not reflect current usage and accepted norms. In the linguistics community, there is a term for this view of language: prescriptivism. Unfortunately for prescriptivists, English is constantly changing—and always has been. Some words that grammar pedants scoff at as obnoxious neologisms were in fact coined as long ago as the nineteenth century. Take “dude” for example. Reviled by grammar trolls the world over, this term has provoked the ire of multiple generations of fuddy-duddies. But did you know that it has its roots in late nineteenth-century British dandyism? Although the term originally described a cultural trend in England, it eventually came to mean “clueless city-dweller” to American cowboys and ranchers (as Mental Floss notes, this is also the origin of the “dude ranch”). However, by WWI, “dude” had flip-flopped again to its current meaning—a cool guy. Even if we adhere to certain rules to make communication easier for people across regions, dialects, and levels of writing proficiency, the language will eventually evolve. The singular they is simply another way English is changing for the shorter, the more empathetic, and the better. As we’ve mentioned before, the singular they is not even a new phenomenon. Merriam-Webster includes usage examples of the singular they dating back to Shakespeare, with notable additions from the likes of Jane Austen and even the traditionalist W. H. Auden. 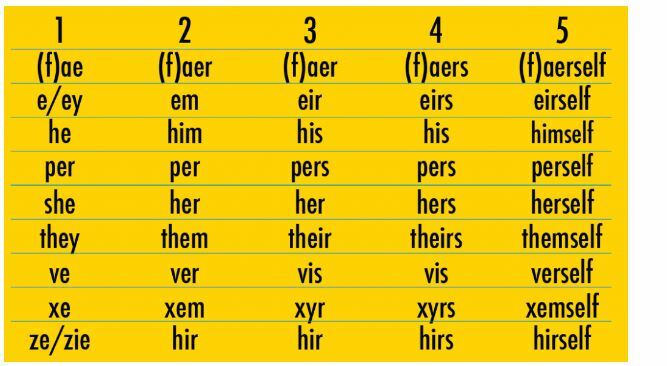 The singular they is nothing new, but in making our language more inclusive of people of a myriad of genders, this simple word is becoming more and more important. According to a 2015 GLSEN study, more than two-thirds of lesbian, gay, bisexual, transgender, and queer students hear homophobic remarks at school frequently or often. Of these students, 40.5 percent reported hearing harassing remarks specifically targeting transgender students frequently or often. For transgender, genderqueer, genderfluid, and other nonbinary students, this can have extreme consequences, from lower GPAs to missed classes to suicide. Clearly, language matters, and it’s especially important to people whose gender does not match cultural assumptions. That’s why we support and respect the use of whichever personal gender pronouns a person or group may choose to describe themselves. But, as many have pointed out, gendering all unknown people as male is sexist and inaccurate. That’s why Merriam-Webster, the Oxford English Dictionary, and the American Heritage Dictionary have recently added notes supporting the use of the singular they for a person whose gender you don’t know. “Despite the apparent grammatical disagreement between a singular antecedent like someone and the plural pronoun them, the construction is so widespread both in print and in speech that it often passes unnoticed,”says the American Heritage Dictionary, in their usage note on the subject. Of course, not everyone will agree that it’s time to formally accept the singular gender-neutral they. People who would use they as their preferred gender pronoun have long been the subjects of harassment and discrimination, although things are changing. 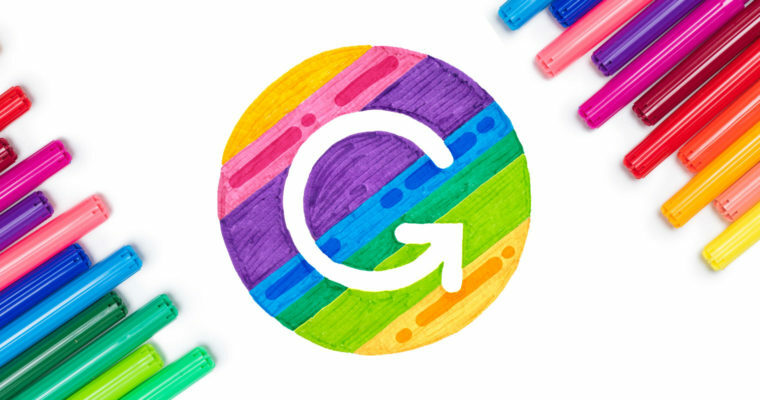 Grammarly supports the individual choice of pronouns and is using the hashtag #writeproud this month to elevate the visibility of all gender expressions and sexualities. WritingHow to Set Boundaries With Your Boss Writing14 Clever Birthday Wishes to Impress Your Friends WritingWhat's the Difference Between Tone and Voice? WritingWatch Your Tone! A Tone in Writing Quiz TrendsWhat Is a Job Simulation & How Can You Prepare for One? TrendsWhy Do We Call February 14 Valentine's Day?